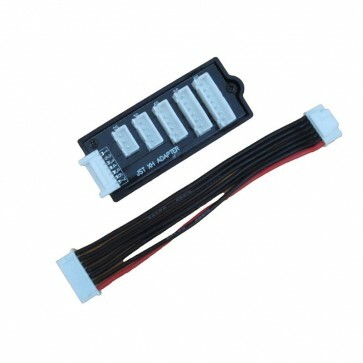 This HobbyStar charge adapter allows you to plug any lipo battery with a standard JST-XH balance connector (most lipos, including all of ours use these connectors) into any charger that uses the standard JST-XH style balance port. The adapter plugs into the 6-cell balance port on the charger, and breaks out into the 2S, 3S, 4S, 5S and 6S connectors. With this adapter, you get a One-size-fits-all module that will work with any battery from 2 cells up to 6 cells.